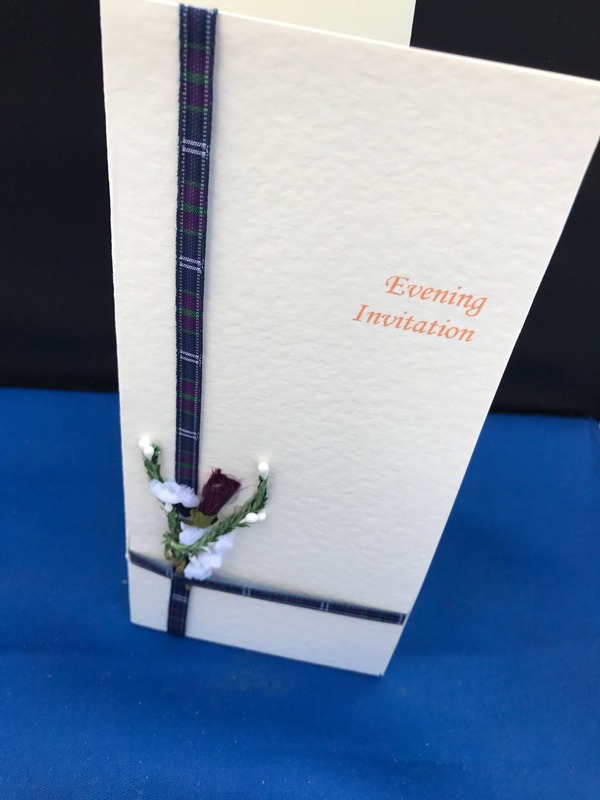 Scottish Wedding Stationery - (Thistle and Tartan) Handcrafted Evening Invitation. 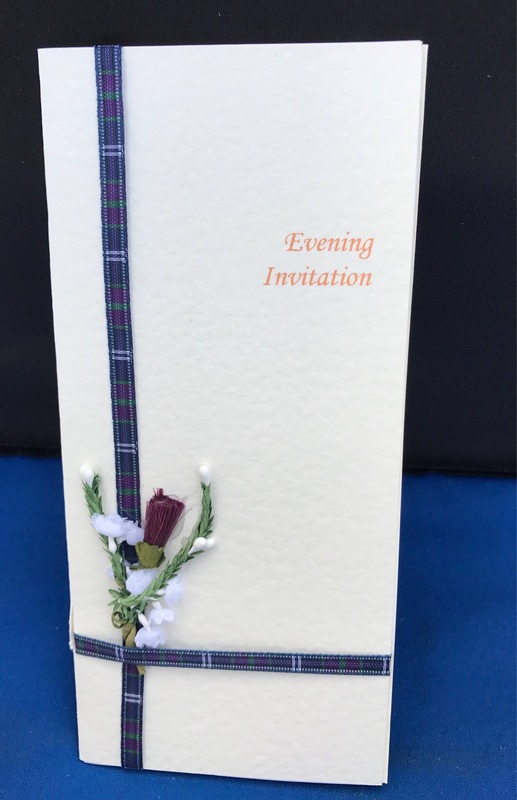 Scottish handcrafted wedding evening invitation, customised and personalised to order. 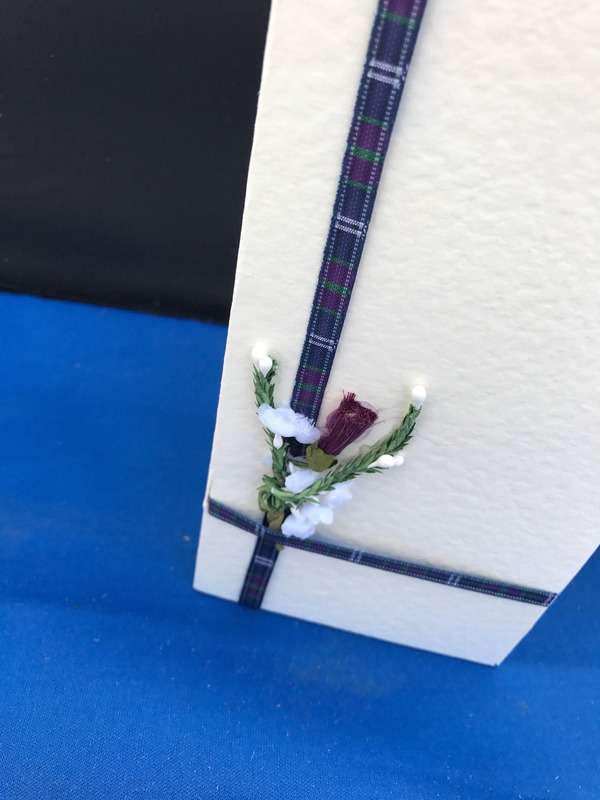 This invitation is made with mulberry thistles with heather on a crossover of tartan. 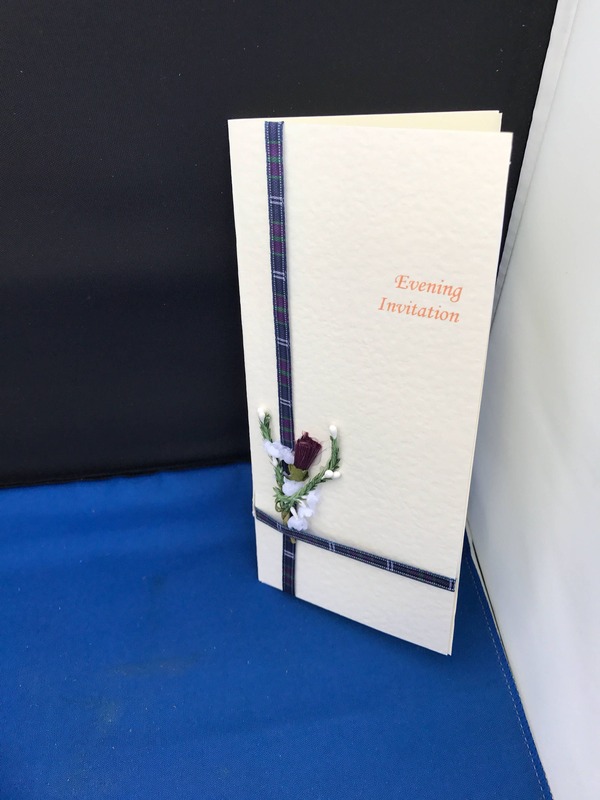 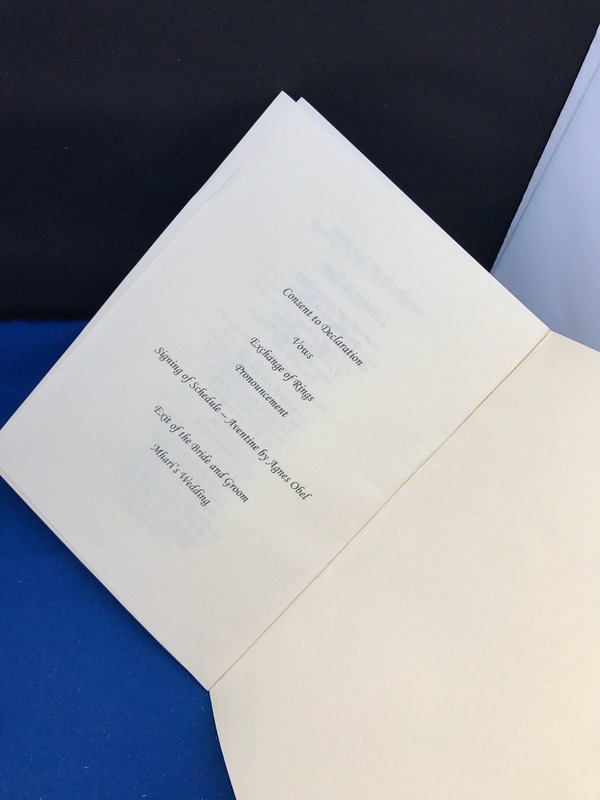 This design was to match the couple's colour and theme however these could be interchangeable to match your own preferences.